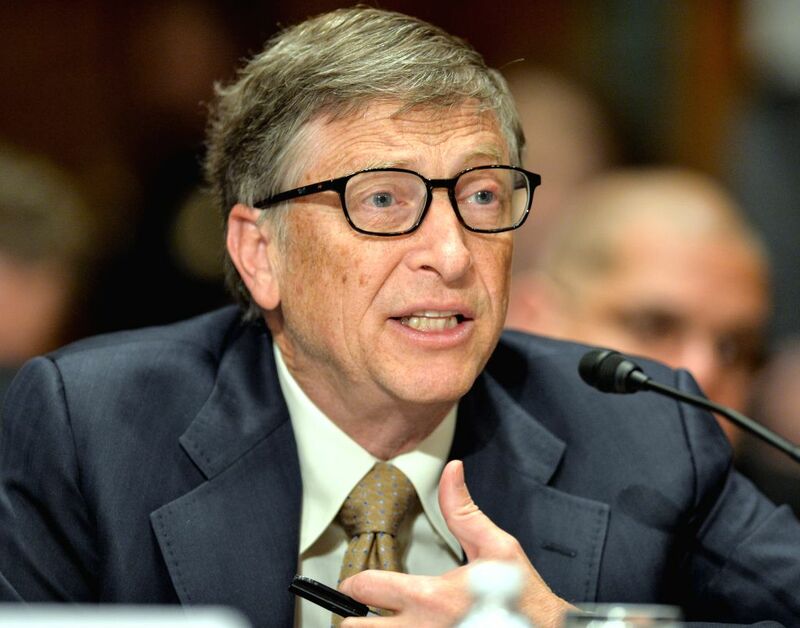 WASHINGTON D.C., March 26, 2015 - The Bill & Melinda Gates Foundation Co-Chair Bill Gates testifies before state, foreign operations subcommittee of senate appropriations committee in the hearing on Diplomacy, Development, and National Security, on Capitol Hill in Washington D.C., capital of the United States, March 26, 2015. 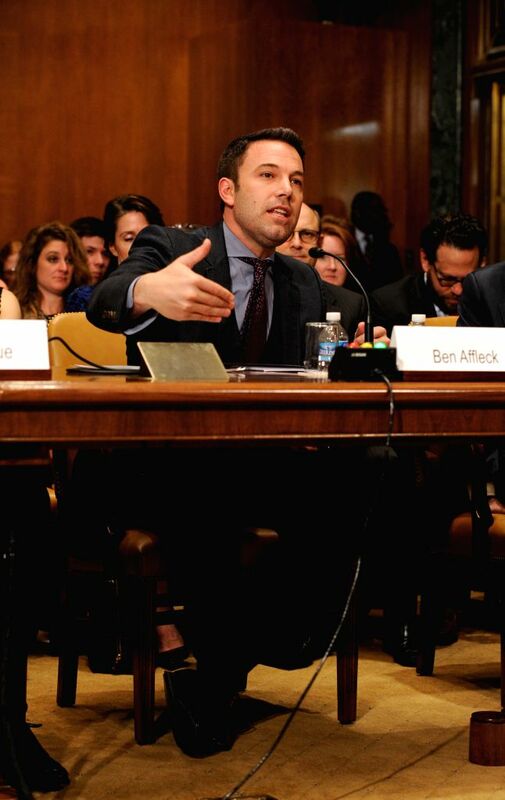 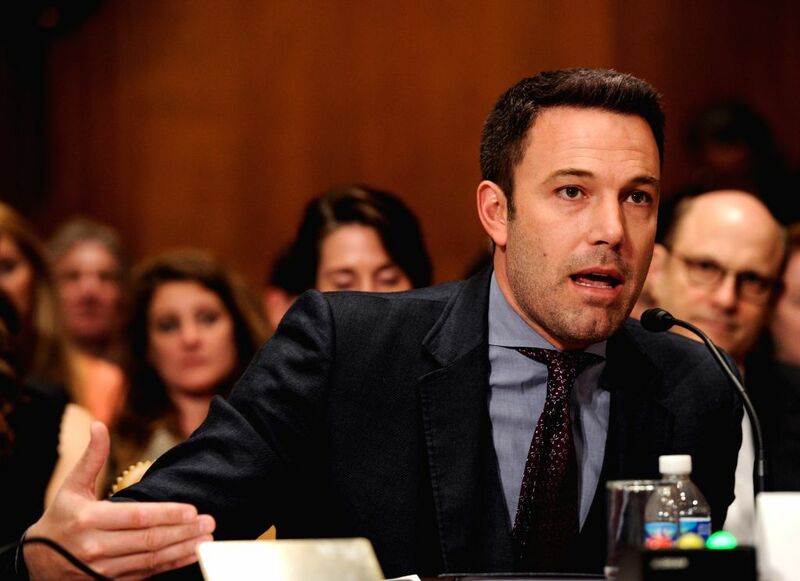 Actor, filmmaker and founder of Eastern Congo Initiative Ben Affleck testifies before state, foreign operations subcommittee of senate appropriations committee in the hearing on Diplomacy, Development, and National Security, on Capitol Hill in Washington D.C., capital of the United States, March 26, 2015. 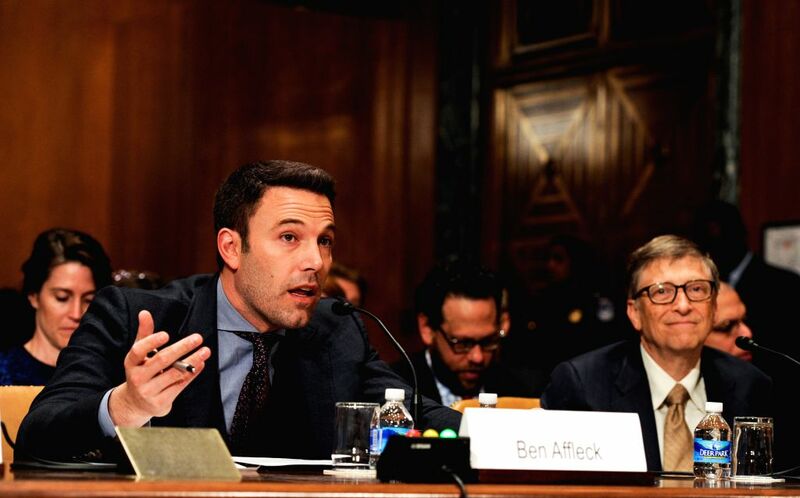 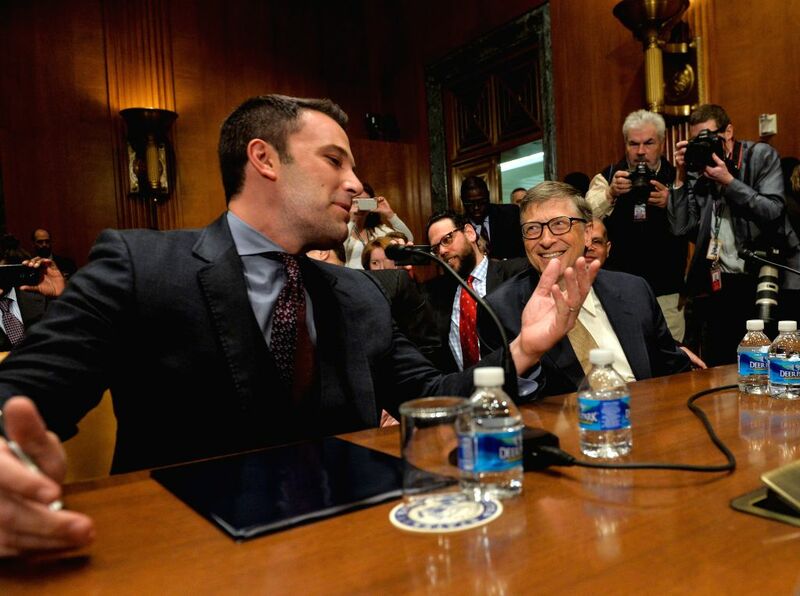 Actor, filmmaker and founder of Eastern Congo Initiative Ben Affleck (L) talks with Bill & Melinda Gates Foundation Co-Chair Bill Gates before a hearing on Diplomacy, Development, and National Security, on Capitol Hill in Washington D.C., capital of the United States, March 26, 2015.